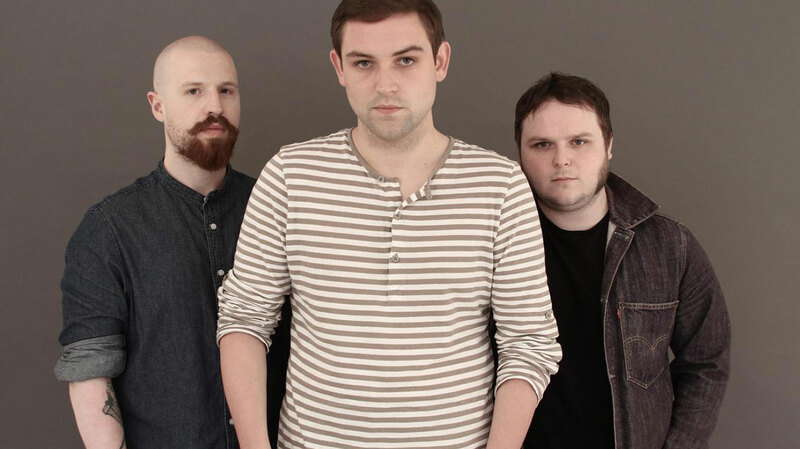 Already firmly established as one of Scotland’s best bands, The Twilight Sad have raised the bar even higher with their fourth studio album. We got in touch with frontman James Graham to discuss the tour de force that is Nobody Wants To Be Here & Nobody Wants To Leave. Hi James, how’s the US tour going? It’s going really well. We started in New York – playing our debut album in full, which was really special – and now we’re on our way to Chicago for the eighth gig of the tour. The people in America are amazing; really devoted music fans. We’ve met a lot of people who have travelled hours and hours to come and see us. It’s an amazing feeling when someone loves your music enough to do that. How have you found the experience of going back and focusing on that early material? I never usually go back to listen to our albums after they are released, because I feel they are finished and it’s time to move on. But I had to with Fourteen Autumns and Fifteen Winters because I’d forgotten some of the songs we don’t usually play. It was a really weird experience listening to it again, but I was really proud of what we achieved with the first songs we ever wrote. And it was nice to look back before we moved forward. I’m really glad that we did the UK shows where we performed it in full, because I didn’t realise how much that record meant to people. I spoke to people who had travelled from America, Italy, Belgium, Norway, Germany, France, Israel and Ireland, to name just a few. It’s an amazing feeling to know the first songs you ever wrote with your friends have made such an impact on the lives of people from so many different cultures, countries and religions. Playing live has become like a bit of a drug for me; I just want to do it more and more. Did revisiting those songs reveal anything that you didn’t realise at the time of writing or recording? 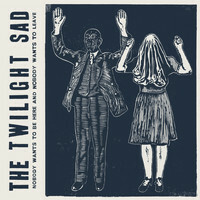 I wouldn’t say it made me feel any differently about those songs, but what it did do was remind me of some the songs we don’t usually play, and why I wrote them/what they meant to me. We also played a song called ‘3 Seconds of Dead Air’ which was written around the time of our first record but didn’t make the album. It’s a favourite for some people that have been following us from the beginning and we hadn’t played it until those gigs. I’m glad we did that. Do you think undergoing that process of reflection had any impact on your creative approach for Nobody Wants To Be Here & Nobody Wants To Leave? All the songs were written for the new record before we decided to re-issue/play our debut album. I think playing those two Glasgow shows in December helped me to know that there were people out there that really cared about what we do, and to go into the studio in January with the confidence that we could produce something really special. What was the goal sonically this time? We wanted to look back over, and take elements from, the different styles we’ve explored previously: the noisy guitars and feedback, the sparse, synth-led, industrial sounds, the stripped back vocal/acoustic set-up, the playing with an orchestra. When we write an album we always make it a priority to approach each one differently and look forward. With this one it was more about trying to combine elements of our previous work and turn them into something new, to show where we are at this point in time. We understand that the album was written following quite a difficult period for the band. Could you tell us more about the circumstances, please? By the end of the last album campaign things weren’t going to well for the band. We had been constantly touring and had reached a point where it felt like the band wasn’t progressing, or getting the opportunities that we’d been working hard to get. We were still coming up with lots of ideas, and were hungry to keep the band progressing, but there were people that we were working with that were not as motivated to see the band move forward. It felt as if we were constantly hitting a brick wall and being told “no” all the time. We took some time off from touring, went back home, and I used that time to reflect on what we had achieved as a band, and ultimately what we hadn’t. We played some gigs that turned out to be really important – like the debut album shows, and the gig with the Royal Scottish National Orchestra at Paisley Abbey – and those gigs proved to me that people did care and that the problem wasn’t with us. So we have now surrounded ourselves with people that really care about our band and want to see it succeed. In addition to the reference in the album title, lyrically there seems to be a recurring motif of people leaving or being left behind. What is it about that concept that interested you? As far as the lyrics go, I have always wanted to keep what they are about to myself. I’ve been doing that since we wrote our first record, and the reason is that my favourite songs are the ones where I don’t know what they are about, so can relate them back to my own life or situation at the time. Then – when I listen to that song – it takes me back to that time, be it good or bad. If you give away what the song is about, it can spoil that for people. Also, what with social media, there’s not too much mystery in the world as far as bands go these days, so I like to leave that little bit of mystery intact. What I will say is that the overall themes on the record are love, loss, the breakdown of relationships, living in a small town, leaving and coming back to that town. The title doesn’t just relate to a place: it can be a relationship, a bad situation, a job… And each song is a chapter in the overall story of the album. Is there anything you’ve learned about yourselves in the process of making this record in particular? I think we’ve learned that – after seven years and four albums together – we’re more passionate about making this band work, and continuing to write, record and tour than we ever have been. What’s the plan for the rest of 2014? Will there be a UK tour? We’ve got five weeks left in America, a couple of weeks off and then we have one big hometown show in Glasgow, on December 19th at the O2 ABC. We’re announcing a UK tour for next spring very soon. The thing we love about your live shows is the way you play with the arrangements. What’s the rationale behind that? We like to make the live experience different to the recorded one. I always think when bands replicate what they’ve done on record in the live setting, you’d be just as well sitting at home and listening to the record, instead of paying £15 for a ticket. I always think the live versions of any of our songs are more intense than the recorded versions. And there’s nothing quite like the feeling of playing your songs in front of a room full of people that like your music. Playing live has become like a bit of a drug for me; I just want to do it more and more. After last year’s collaboration with the Royal Scottish National Orchestra, do you have any other special performances coming up? We have a couple of three-piece gigs coming up, which is something we like to do now and again to show the songs work stripped-back. I like to think it shows we’re not a one-dimensional band and have different sides to us. Apart from that, we’re really just focusing on touring the new record as a full band and going out to play these new songs for people. We’re always very open to trying new things, so if any other projects like the gig with the RSNO came up, we’d be up for looking into it. How have your motivations for making music changed in the time you’ve been together? The goal for me was always to keep on progressing, and for each album to reach a level of success that would allow us to be able to make another one. In the seven years that we’ve been touring and releasing albums, we’ve seen so many other bands come and go; bands that, if I’m honest, have been given a lot more opportunities than we have. One thing I’m really proud of is that we’ve achieved a lot of things that money can’t buy, and I like to think we’ve done that on the strength of our music. A lot of the bands that we grew up listening to, and who were the reasons I wanted to be in a band, are fans of ours; Mogwai and Arab Strap have had a huge influence on my life, and they are really good friends now. I think it’s testament to our belief in what we do, and the people who like our music supporting us as much as they do, that we’ve got this far. We’re not in this to make money, and if we were we would have been finished a long time ago. My goal is to make enough so we can keep writing music and afford to be in this band. Finally, what’s been the highlight so far? I’d say there were a few: touring with Mogwai three times, finding out Robert Smith was a fan, touring America 15 times so far, headlining the Barrowlands in Glasgow, playing Primavera Sound Festival, and playing with the Manic Street Preachers, after finding out they were fans.